A Companion to the Vietnam War contains twenty-four definitive essays on America's longest and most divisive foreign conflict. It represents the best current scholarship on this controversial and influential episode in modern American history. Highlights issues of nationalism, culture, gender, and race. 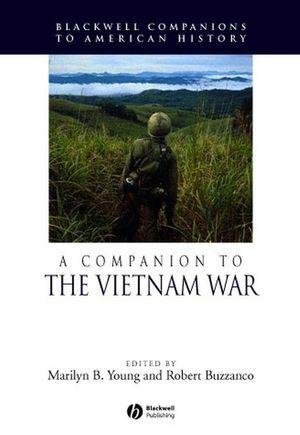 Covers the breadth of Vietnam War history, including American war policies, the Vietnamese perspective, the antiwar movement, and the American home front. Surveys and evaluates the best scholarship on every important era and topic. Includes a select bibliography to guide further research. Marilyn B. Young is Professor of History at New York University. She is the author of Rhetoric of Empire: American China Policy (1969) and The Vietnam Wars (1991), winner of the Berkshire Women’s History Prize. She is the co-author of Transforming Russia and China: Revolutionary Struggle in the 20th Century (with William Rosenberg, 1980), Promissory Notes: Women and the Transition to Socialism (with Rayna Rapp and Sonia Kruks, 1983), and Vietnam and America (with Marvin Gettleman, Jane Franklin, and Bruce Franklin, 1995), and is the co-editor of Human Rights and Revolutions (with Lynn Hunt and Jeffrey Wasserstrom, 2000). Robert Buzzanco is Associate Professor of History at the University of Houston. He is the author of Masters of War: Military Dissent and Politics in the Vietnam Era (1996), winner of the Stuart L. Bernath Prize, and Vietnam and the Transformation of American Life (Blackwell, 1999). "The quality of the essays... make it an easy recommendation to those looking at the war." Presents 24 original essays written and edited by premier experts on Vietnam War history.